Confidence, Empowerment, Influence; the key components in creating future life champions. Brazilian Jiu-jitsu has served as an aid in the development of children’s lives. Its influence is unparalleled, as young practitioners acquire life lessons, develop their own identity, and unlock personal strengths to tackle the many challenges they will face off the mats. Having a positive mentor makes this all possible, as it is the instructor’s sworn duty to guide them through this life altering process. Building life champions is a common custom at Brentwood BJJ. Academy head instructor, Jeremy Akin has assembled a team of his adult students as the instructors of the kids program. Each instructor brings their own unique style which not only has made the program a success, but also made the experience fun and educational for young students of all ages. “A Positive Sandwich of Knowledge”, BJJ brown belt, Eron Johnsey has had a profound impact on many children’s lives, which is showcased through his selfless work ethic building the program and passion for simply making a positive difference. We here at BJJ Legends spoke with Johnsey as he gives us a crash course on developing a success kids program and change lives. 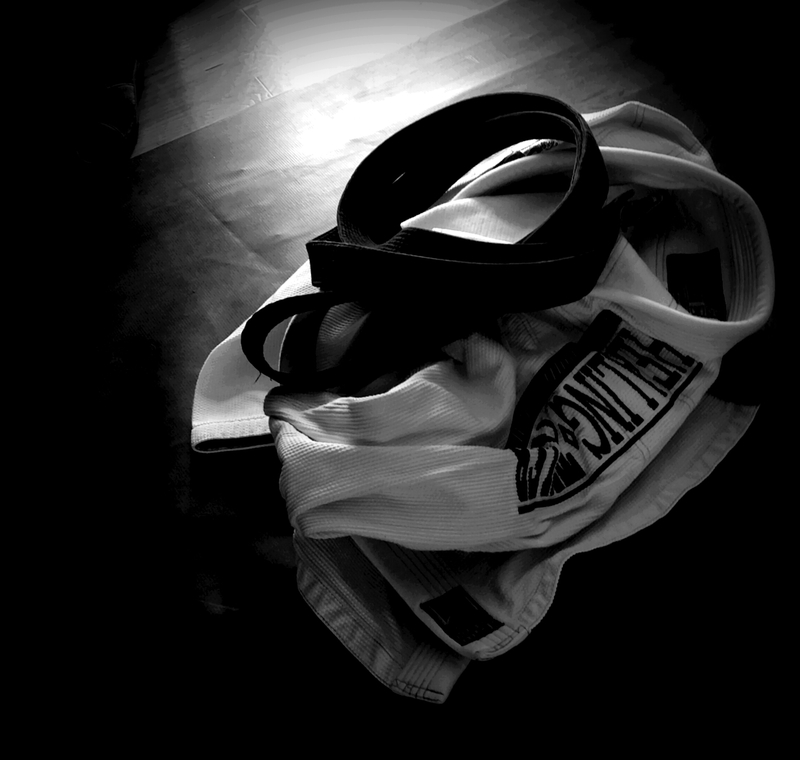 Through our journey as Brazilian Jiu-jitsu practitioners, it takes us down different paths. Your journey took you to becoming a BJJ instructor for the youth. What inspired you to become a kids Brazilian Jiu-jitsu Instructor? There is always a need for every concept in BJJ. Why do you feel the creation of a children’s BJJ program is needed? 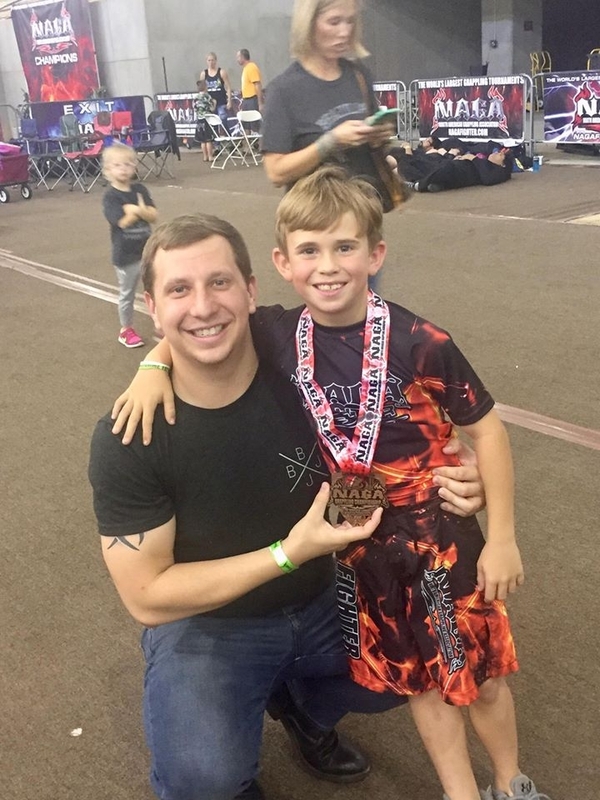 Johnsey: Kids need BJJ for all kinds of reasons! The biggest reasons are self-defense, confidence, respect, and control. It’s a great social group, positive role models, and BJJ teaches nothing beats hard work/dedication. Creating a BJJ youth program is one thing, making it successful for both the school and the student is another. One of the biggest challenges instructors face is keeping children interested. As an instructor, how do you tackle this challenge? Johnsey: The biggest challenge for kids BJJ are two things: creating an environment where kids want to be there every day and the parents pulling support. Problem one is when kids are pushed too hard too early or if they don’t have friends within the class. BJJ is a journey not a race. Keep showing up and you will get better. I would rather have a kid enjoy BJJ and train forever over having a kid who is a rock star for six months then gets burned out. Secondly is getting the parents in a BJJ class or at least teach them about the sport. That is key to them staying involved. This brings me to the topic of class structure. Children’s BJJ classes are very different from an adult class structure with its mixture of fun games and instilling values such as respect and discipline. Can you share with us the class structure you use for your students that make it a fun learning environment? Step 2. Know your audience. Step 4. Don’t be afraid to split classes. For me these are the five steps to success with kid programs. Make it a positive environment, a healthy one, and an environment that produces kids who want to do the right thing even when people aren’t looking. Put games for the little ones and quizzes for the older ones to keep their memory sharp. You obviously have had your share of lessons you’ve learned in your BJJ journey. What are some of the lessons you use and pass along assisting children with their journey? Johnsey: I have learned so much from BJJ but some of the most important I have learned for life are putting time into systems that work. The faster you learn to take constructive criticism the faster you will develop as a person. Together you are stronger than as individuals. As these young practitioners evolve, take for example a once timid child transforming into a confident individual. What is it like for you seeing this transformation and how do you think it happens? How has the overall experience impacted you? Johnsey: Jiu-Jitsu has help me be a better son, a better boyfriend, a better best friend, a better person. It has taught me to talk less and listen more. It has kept me humble on and off the mats. It has taught me to “take one and leave two”. To never forget where you came from. To never give up. To always keep moving forward. It has taught me how to prioritize things with “what you need” and “what you want!” It has taught me that everyone has value. It has taught me how to be a better person. Closing this interview, for parents that are not aware, why should they get their children in Brazilian Jiu-jitu? Johnsey: BJJ is my pick for Martial Arts for children. With kids, school is the first priority. It is a self-defense before it is a sport or competition. Brazilian Jiu-Jitsu teaches you how to not only control yourself but your opponent. If all a kid know is how to kick or punch that’s what will happen in a self-defense situation. It’s a big difference when you come up on a kid who is clearly in a dominant position and he is the one calling for “Help.” It is a lot better than walking up on a situation, as a teacher, with a child’s nose bleeding but “he was the bully.” Getting suspended is not an option because you miss school. You are at school to learn! Our school is amazing because our teaching staff cares for our Jiu Jitsu community deeply. We would do anything to help them succeed on and off the mats. It is a safe place for kids to become the best version of themselves. Jiu Jitsu is just a vehicle to help them get there faster!